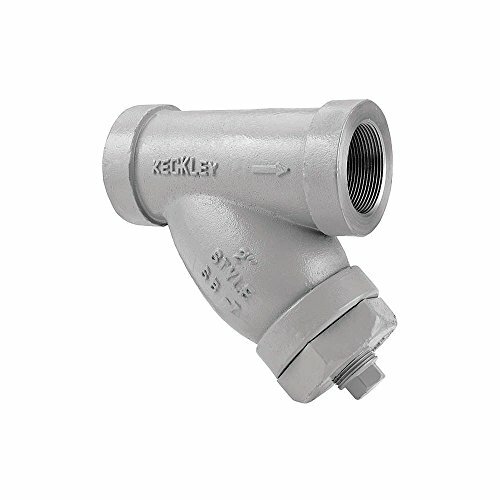 Technical Specification Item Y Strainer Pipe Size 3' Connection Type Threaded Housing Material Carbon Steel Max. Pressure 1480 psi @ 100 Degrees F WOG, 600 psi @ 838 Degrees F WSP Length 12' Screen Material 304 Stainless Steel Mesh 3/64' Gasket Material 304 Stainless Steel Blow-off Port 1-1/4' Class 600 Standards ASTM A 216 Grade WCB Compliance and Restrictions This listing is for each. If you have any questions about this product by Keckley Company, contact us by completing and submitting the form below. If you are looking for a specif part number, please include it with your message.